Somehow, while you were busy getting caught up in Game of Thrones fan theories, the entire summer passed by. But before you start panicking over the fact that you only made two beach trips to Rockaway and never actually left the confines of the five boroughs these last three months, know that there’s still time to escape. From tiny upstate towns to secret hideaways in the Hamptons, we’ve got you covered with these last-minute summer getaways. 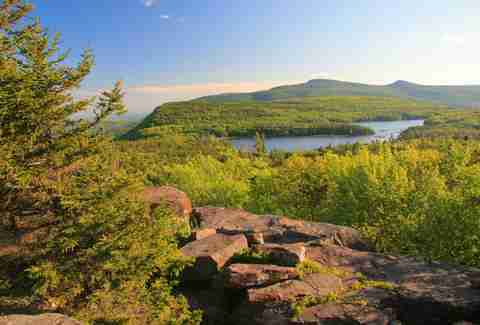 Located just under three hours by car or bus from NYC are the Catskills: a mountain range that’s long been a haven for outdoor recreationalists and artists alike. With tons of camping, hiking, fishing, lake swimming, art, and breweries, a trip to the Catskills is perfect for those looking to escape the chaos of the city. Grab some friends, a pair of hiking boots, and click here to plan out your perfect Catskills weekend. All too often does the rest of New York get overshadowed by the city. But make no mistake, the Empire State is full of small towns that are loaded with great restaurants, bars, wineries, breweries, mountains, hiking trails, camping, and legendary music and sports venues. Click here for a list of the best small towns worth discovering upstate. 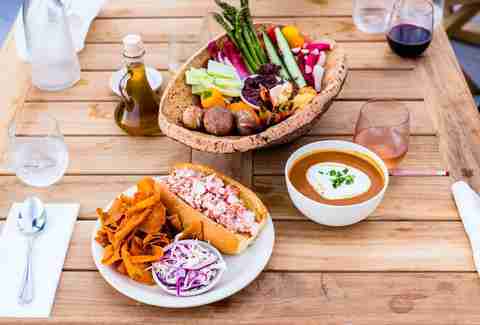 Shockingly enough, there’s far more to the Hamptons than just drinking rosé while lying on a giant swan-shaped pool float. Before summer’s end, make it your mission to check out everything from a secret sculpture-dappled nature preserve to the best cocktail spots and the coolest place to spend the night (for just $35). 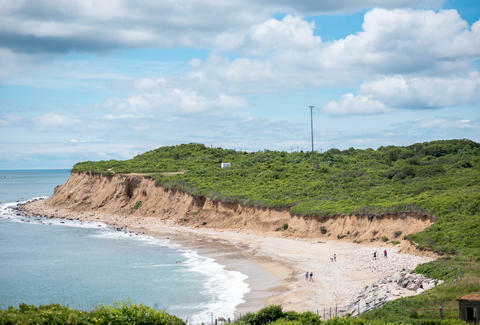 Click here for the rest of your Hamptons bucket list. 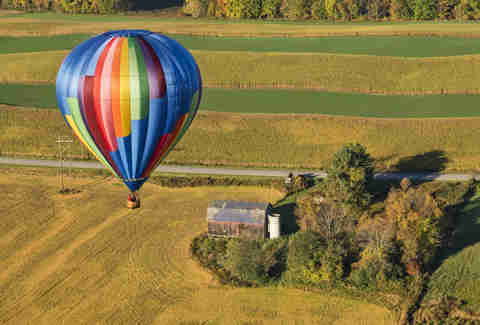 While there’s plenty to do upstate come fall, the area is full of summer-specific activities you don’t want to miss -- from a dude ranch to waterfalls to hot air balloon rides. Click here for the best things to do in upstate New York this summer. 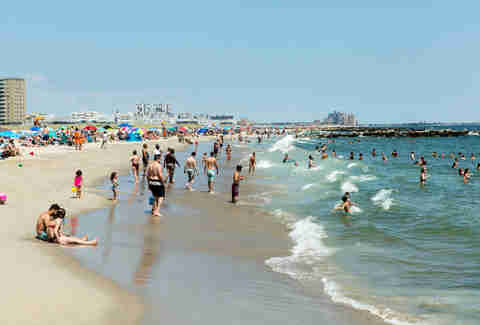 Atlantic City is more than just casinos and fodder for Bruce Springsteen songs. Once referred to as “America’s Favorite Playground,” AC was originally known as the resort destination for rich New Yorkers and Philadelphians before becoming the East Coast’s answer to Vegas. 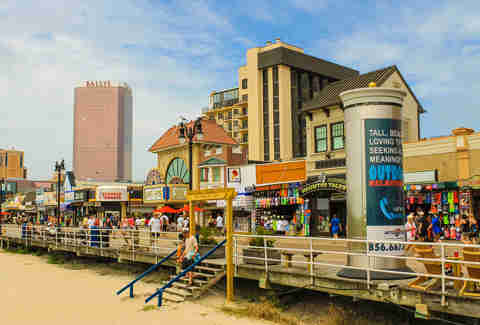 Today it’s packed with all the fresh seafood, history, and boardwalk sights you could want. Click here for the most essential Atlantic City activities. If you really can’t get outside the city, fret not. Neighborhoods from the Bronx to Staten Island offer beaches, surfing lessons, outdoor excursions, historic architecture, and more alluring vacation town amenities -- i.e., everything you’d want from a weekend getaway, all available within the five boroughs. Click here for the NYC ‘hoods that will fool you into thinking you left the city.